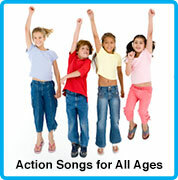 Today’s post comes from Songs For Teaching artist Patty Shukla. Let’s move, dance and be an active example for our kids! Before computers and cable television we played outside and spent a lot time with friends. I can remember being 8 years old riding my bike with neighborhood friends all day. We built forts, created home-made carnivals in our backyards, played hide-n-seek, put on our own talent shows and swam for hours. Exercise was not something we thought about or planned, it was just a way of life. Some of my best childhood memories are those times. Let’s create some lasting memories with our children today. 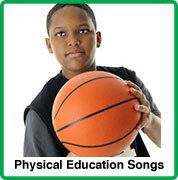 Here are 10 of my exercise songs and 10 exercise games to get your body moving and heart rate pumpin’! Let me know which ones are your favorites. Let the fun begin! Musical Freeze Game – S.T.O.P. Simon Says Game – Play with me, Sing Along! Dance Off Game – Colors Dance! Move your whole body dance – Wiggle It! Thank you Patti Shukla for sharing this post with us. 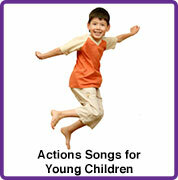 For more movement & action songs, click below! Previous Previous post: Kids in Space!